Do you have a social media account? The answer will most probably be yes, and if it’s yes, then we are sure you might be well-acquainted with the word hashtag. A word that has been added to the dictionary in the recent past and soon became one of the most popular words used by kids, adults and oldies alike. A plethora of hashtags accompanies every post whether on Facebook, Instagram, Twitter or LinkedIn. As one of the best social media agencies in Delhi NCR, CRUX Creative Solutions have been through in-depth research on hashtags and their practical use. People blatantly use hashtags without understanding its purpose and the ways you can take advantages of it. However, being a prominent Facebook Marketing agency in Gurgaon, we always assist our clients in using different hashtags wisely and to their maximum benefits. The extensive use hashtags started from Twitter, where adding the pound (#) symbol before a word made the word a link that can be searched. Subsequently, these hashtags were used to classify and organise content that can be put to use for finding trending topics. Therefore, a hashtag means any word with a # prefix. However, it is a pause for thought; one must comprehend appropriately as to how to write hashtags. Hashtags are words, phrases and numbers written without space and with prefix #. They are widely used on social media and can be placed anywhere in the post. Now hear it from the best social media marketing company, a few tips on how to write a hashtag. Use just numbers, phrases and words in a hashtag. #PleaseDoNotUse spaces or punctuations. Because space between the words is not allowed in hashtags so please don’t write longish hashtags that are difficult to read. #KeepitShortAndSweet. Yes, the hashtag works excellent when concerning SEO and makes your post more reachable but doing a little too much with them is a big no-no. Using a large number of hashtags is not a wide ides. 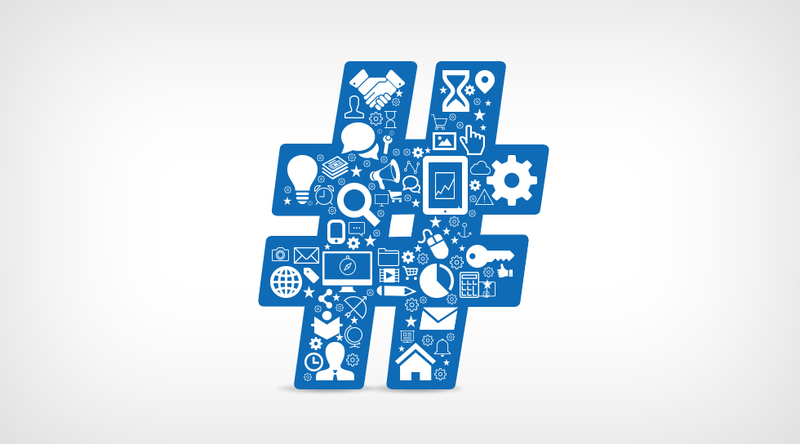 Social media platforms have also limited the number of hashtags that you can use in a single post. As a creative digital marketing company, we often see that creative content can fetch traffic but doesn't guarantee to convert them into a lead. Consequently, the second step after creating great content is to find a way of not letting your traffic be strolled away. Such a situation exhibits the importance of the call to action. Every post, blog or email that you send must conclude with a CTA so that you don’t let the lead get away. However, the call to action that you intend to put must be creative and a far cry from the boring, conventional ones. How to use the hashtags effectively? As a leading social media agency in India, CRUX has always made sure that only relevant hashtags are used in a post instead of just hashtag stuffing. There are separate hashtags for photography and separate for fashion, and hence both should be used exclusively. A fashion hashtag if put on a travelling post will only make you look stupid. Every social media marketing company must set up a team that can find out the trending hashtags which you can subsequently use in your social media posts. In addition, to make this task easy, now we also have many SEO tools that help us find relevant hashtags. Being one of the top social media agencies in Delhi NCR, we keep track of the trending hashtags and use them wisely over social media. Using trending and content relevant hashtag is a wise thing to do, but it is said easy then done. When we start using a hashtag that is employed by every company or brand of the same genre, it is more likely that your content will just get lost in the crowd. Therefore, while you are using the relevant hashtags be mindful of using some specific and unique hashtags as well, that can earn your content more visibility and keep it safe from falling into oblivion. We as the best social media agencies in Delhi NCR, have a team of best creative minds that have come up with unique hashtags that we use of our clients.